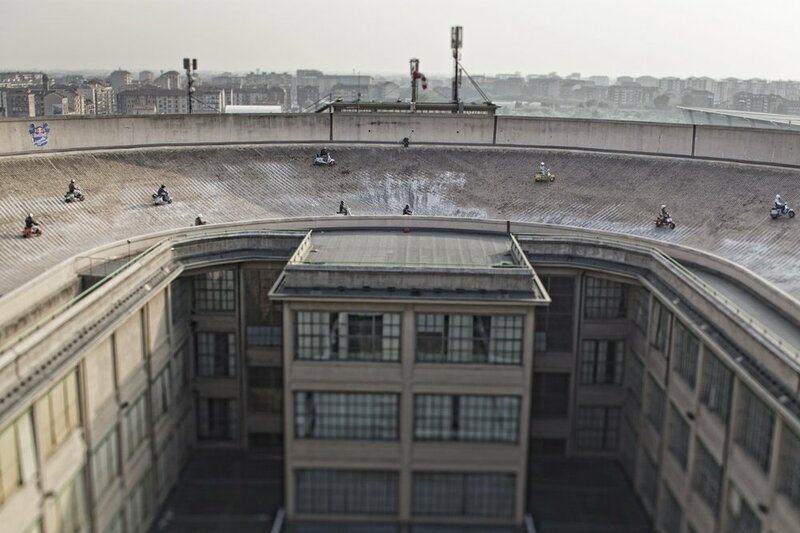 This is one of my dreams… racing my (extremely slow) Series round the track on the roof of the iconic former FIAT factory in Turin. 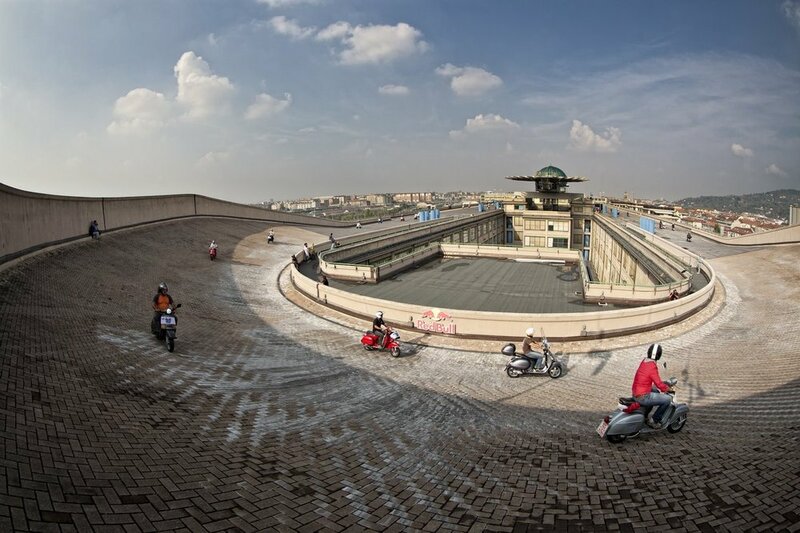 Probably most well known in the UK for it’s brief appearance in the Italian Job, The Lingotto is an incredible work of modernist architecture. It was more than a factory, more of an enourmous machine for making cars… raw materials coming in on the ground floor, being built on s production line that progressed up the building before emerging, finished onto the rooftop test track. Brilliant. No longer a car factory… now a business centre / concert hall / theatre / art gllery / shopping mall / hotel / university… (you might start to get an idea how BIG this thing is. 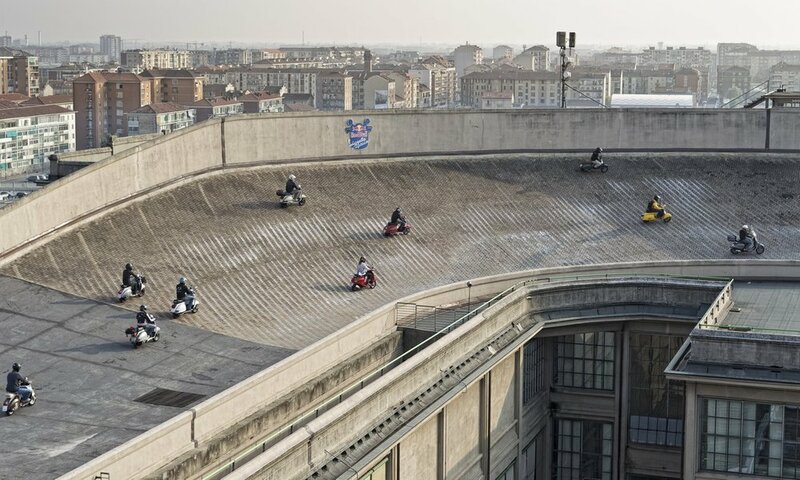 Italian owners of classic scooters had the chance to take thier scoots up the famous spiral ramp and put their machines through their paces on this classic track… thanks to a famous energy drink. 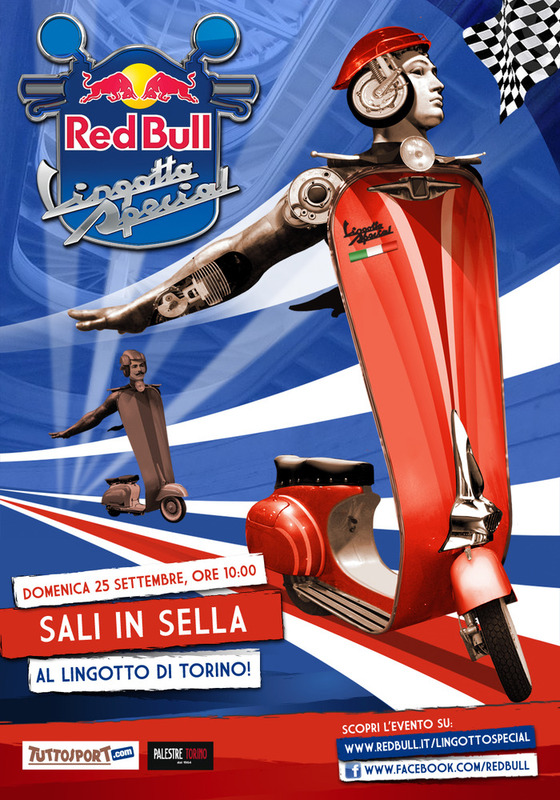 The Red Bull Special Lingotto took place on the 25th of September (apparently it’s the third time they’ve done it), and awarded prizes for creativity as well as speed. I’d love to do that. 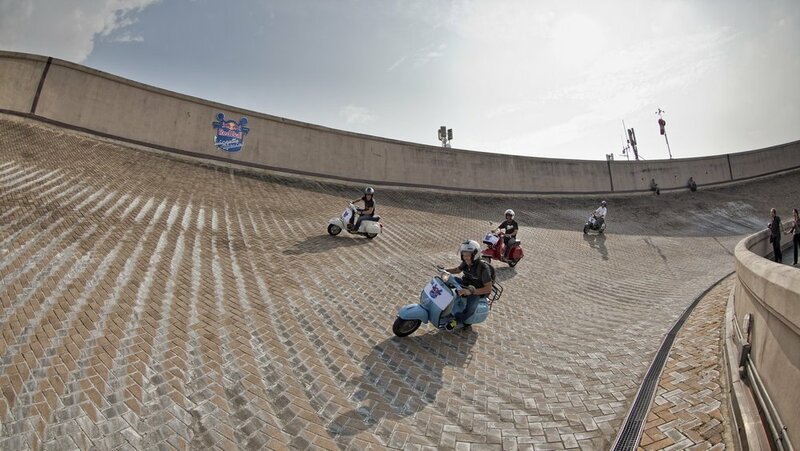 Found this story over at Italian site motoblog.it, which is also where I nicked the pictures from. Sorry that it appears to be mainly V•spas! 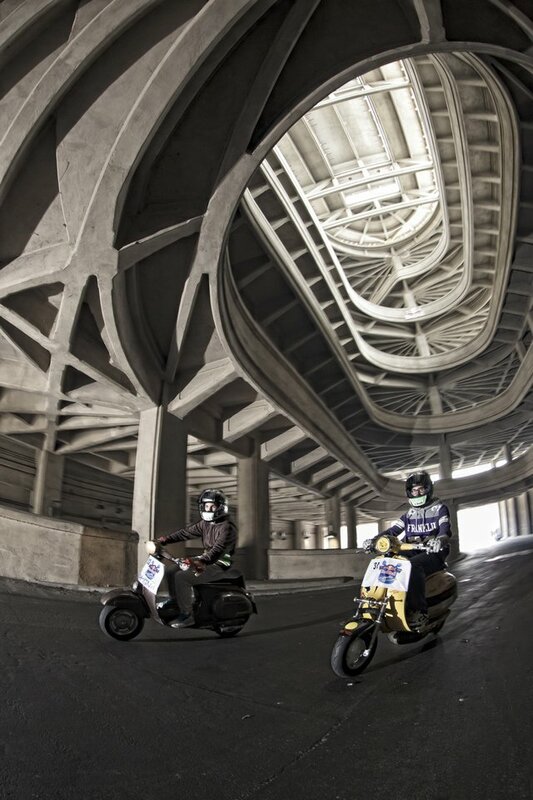 This entry was posted in Lambretta Imagery, Lambretta Life, Scooters and tagged event, Fiat, Italian, Italy, Lambretta, Lingotto, Racing, Red Bull, scooter, Turin by crocodilejock. Bookmark the permalink.